HomeOpinionIs ‘period leave’ an example of inequality in the workplace? A Bristol based company, Coexist, have recently released proposals which enable female employees to take time off during their period. 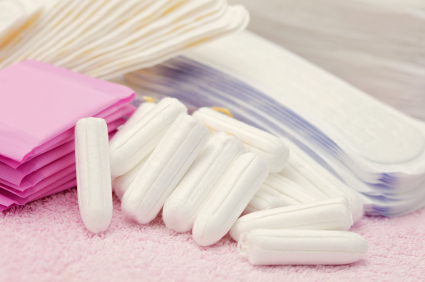 ‘Period leave’ entitles women to a few days off when they are suffering from period pains. I personally don’t agree with the implementation of such a policy, and I hope that other companies do not follow the example set by Coexist. Feminism has been on the rise in recent years and many people associate the word ‘feminism’ with ‘man-hating’. Feminism is supposed to promote gender equality, but with the introduction of such a policy, is this not favouring female employees over their male counterparts? If we want gender equality, then men and women should be expected to put in the same level of work, over the same hours, with the same wages as a result. Women should not be given allowances merely because they have their period, which is a natural bodily function. If a company was predominantly comprised of female workers, then their menstrual cycles would be in sync with each other due to working in such close proximities. It would be impossible to allow a large portion of your staff to simultaneously take time off from work. A company cannot be efficient and productive if staff members constantly require time off from the duties and tasks assigned to them. This is simply not clever business and could lead to large problems for the company. Such a policy could easily be exploited and could become another epidemic similar to ‘pulling a sickie’. If a female employee was too tired, lazy or even hungover, they could very simply say they are on their period, and I’m pretty sure their male bosses would be too embarrassed or uncomfortable to question it. Unlike a sickness, which a doctor’s note can validate, the only proof for being on your period are sanitary products and the bathroom. Therefore, you cannot be asked to ‘prove’ you’re on your period as it would be unethical and demeaning. I understand that some women suffer from illnesses such as endometriosis, fibroids or adenomyosis, which often result in excruciatingly painful period pains. This is different to regular period pains though as these are genuine medical conditions. In cases where women suffer from these underlying medical conditions, I do believe women should be prescribed time off from work from a doctor or medical practitioner who can confirm their diagnosis. Suffering from one of these conditions is vastly different than regular period pains. Normal pains can easily be dealt with paracetamol, heat lotion or even a hot water. A consequence of this implementation could be a massive decline in the numbers of women being hired, especially in large corporate companies. Employers would be disinclined to hire a female employee in case he or she had to make allowances with her work hours. This would lead to more males being employed because they would be viewed as more reliable workers due to the fact that they would not require monthly time off.